It’s hard to find a groundcover tougher than lilyturf (Liriope). Giant lily turf takes things up a notch with its 3-foot tall foliage and masses of lavender-blue flower spikes in summer. Purple fruits follow the flowers in fall. Giant lily turf offers up dark-green evergreen grass-like leaves. Plants grow in clumps that can reach 3-feet in width. It’s truly an impressive specimen. Use giant lily turf en masse in low-maintenance groundcover plantings or in mixed perennial borders. Plants also make excellent container specimens. 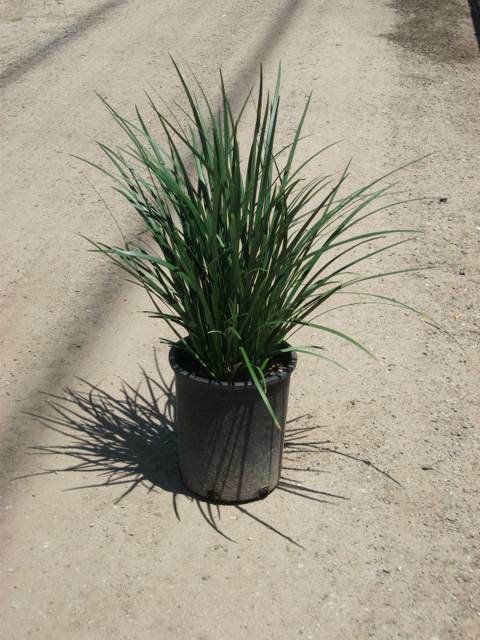 Plants grow in full sun but also tolerate shade, especially in very hot climates. Water new plantings regularly; once established plants only need occasional supplemental water. Regular shearing will create an unattractive appearance with brown leaf edges; the best time to cut back plants is in late-winter, in order to remove all spent foliage. If needed, cut plants down to just above crown. New, clean, attractive foliage is then able to emerge.